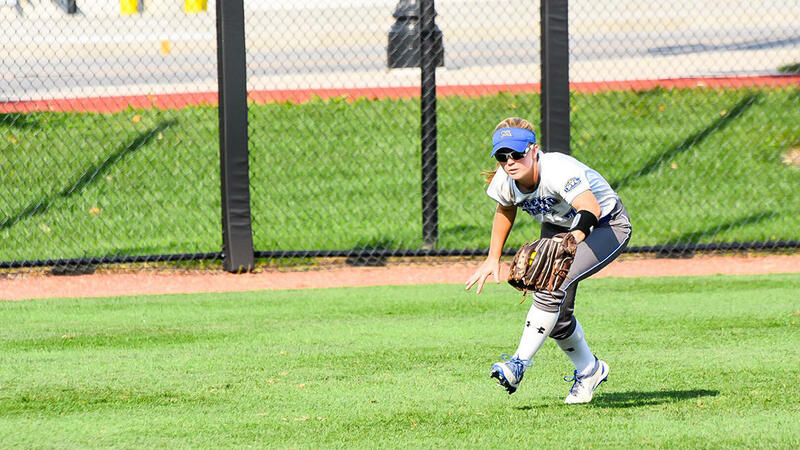 The Morehead State softball team dropped a pair of games on Saturday in the second day of the Phyllis Rafter Memorial Tournament hosted by Kennesaw State at Bailey Park. The Eagles dropped a 6-2 decision to Chattanooga in the morning game before falling 6-1 to Ohio in a mid-day meeting. With the losses, Morehead State drops to 0-3 to begin the 2019 season. The Mocs broke a 2-2 tie in the bottom of the fifth as they connected on five of their seven hits, including a three-run home run, to pull ahead 6-2. Sophomore righty Sarah King (0-2, 7.35 ERA) suffered the setback after allowing five runs in two and two-thirds innings of work. Right-handed sophomore Megan Murphy (0-0, 4.20) made her first start of the season and conceded one run on two hits and five walks. The Eagles offense mustered up a season-best eight hits in the game between five different batters. Sophomore Kalle Coleman tripled in the first inning with two outs for the Eagles only extra-base hit of the game. Coleman was also responsible for Morehead State's two runs scored in the third frame. The Wheelersburg, Ohio, native singled home senior outfielder Aubrey Bennett and junior outfielder Allison Davis to put the Eagles ahead 2-1. A solo home run by Chattanooga in the bottom of the frame tied things at 2-2 before the Mocs big fifth inning. Coleman led the Eagles with a 3-for-4 day at the plate while freshman catcher Princess Valencia recorded her second-straight multi-hit game with a 2-for-4 outing. Bennett, freshman infielder Peyton Slater, and freshman utility player Randi Hamilton rounded out the team's hits. The junior Davis blistered her first career home run in the first inning but that proved to be all the Morehead State offense could muster up in a 6-1 defeat. Davis turned on a 2-0 pitch and sent it over the left-center field fence. The hit was Davis' first of the 2019 season and just the fourth of her career. Hamilton (0-1, 8.40 ERA) started the game in the circle and absorbed the loss after allowing five runs (four earned) on five hits and two walks in one and two-third innings. Freshman lefty Lakyn Largent (0-0, 3.32 ERA) relieved Hamilton and worked four and one-third innings while giving up one run on six hits while striking out three batters. Morehead State will take on Chattanooga in the final day of the PRMT on Sunday at 10:00 a.m.